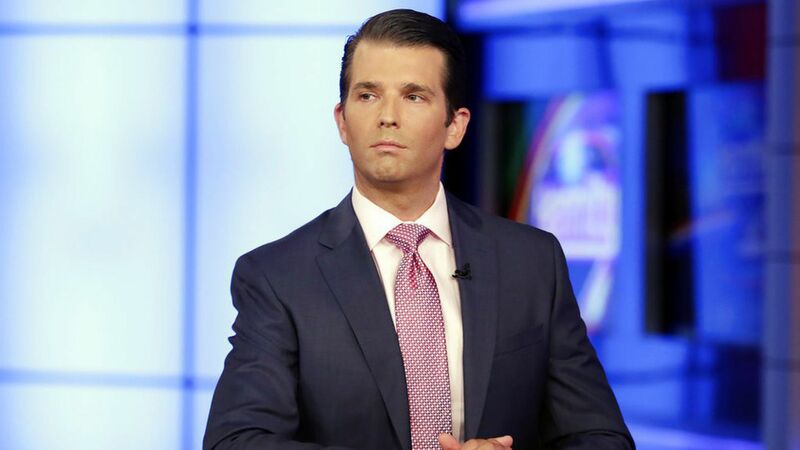 The Washington Post reports tonight that President Trump's involvement in writing the statement on his son Donald Trump Jr.'s meeting with Russians carries legal risks. Trump was responsible for the statement saying the meeting was about adoption, which later proved to be false, the Post reports: "Flying home from Germany on July 8 aboard Air Force One, Trump personally dictated a statement in which Trump Jr. said he and the Russian lawyer had 'primarily discussed a program about the adoption of Russian children' when they met in June 2016, according to multiple people with knowledge of the deliberations." Flashback: Jay Sekulow, a member of Trump's legal team, on Meet the Press on July 16, "The president did not draft the response...I can't say whether the president was told the statement was going to be coming." Sekulow today: "Apart from being of no consequence, the characterizations are misinformed, inaccurate, and not pertinent." Why this matters: The President's personal involvement in drafting the misleading statement has raised a concern among his advisers, according to the Post, that he is "needlessly vulnerable to allegations of a coverup."